The central bank of Saudi Arabia, the Saudi Arabia Monetary Authority (SAMA), has recently partnered up with the cryptocurrency company Ripple to find an easier solution for their payment infrastructure by including XCurrent. XCurrent is an enterprise software solution by Ripple, which allows banks instant cross border payments with receiving real time confirmation payment details. With including XCurrent, Saudi Arabia gets access to every payment provider and every bank through RippleNet. The agreement is not only going to further their reach drastically, but also help to modernise their whole system. Therefore it improves slow and expensive processes, while adding a lot of benefits. Participating banks are going have the ability of a better transparency for doing cross-border payments while lower their general payment costs. They also offer interested banks training and management programs which underlines the importance of blockchain solutions, but also is a great way to learn more about all the possibility Blockchain brings with it. It is the first time ever, that a central bank is including a blockchain pilot like that, but it clearly has the potential of changing many processes of sending money all over the world in the upcoming future. Even the managing director at Ripple, Dilip Rao beliefs that because of the agreement with Saudi Arabia´s Central Bank and Ripple many financial institutions are going to realised all the changes Blockchain could offer and start following their path. In general it is a huge global trend to join the blockchain technology for improving processes while having a better control of everything. Not only bank are seeing its potential, the transport industry got their hands on it too. 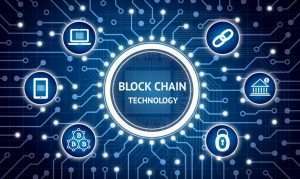 Read more on BNSF Railway Join Blockchain Alliance.